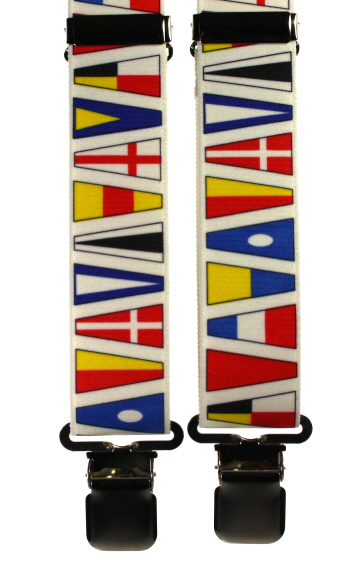 Striking multi coloured nautical signal flag braces for the sailors amongst you. Very strong seaworthy clips! A smart leather wallet with a tall ships theme and black interior with room for credit cards and bank notes. A smart, navy blue nautical bow tie with naval themes including anchor, ships wheel, knots and flags in a self tie style.